Home to the world’s largest collection of luxury branded properties, Dubai continues to attract global brands to its real estate market. The recent launch of Tonino Lamborghini Residences is testament to this trend. The project was announced in December and is the latest in a series of super-branded developments that are taking shape in the city. “The market for luxury branded residences in Dubai is expanding as new players enter the market to meet the evolving needs of consumers, who are increasingly seeking bespoke luxury,” Ma Guolong, CEO of real estate developer Oriental Pearls, told Property Weekly. Tonino is a joint venture between Oriental Pearls and Italian luxury brand Tonino Lamborghini. 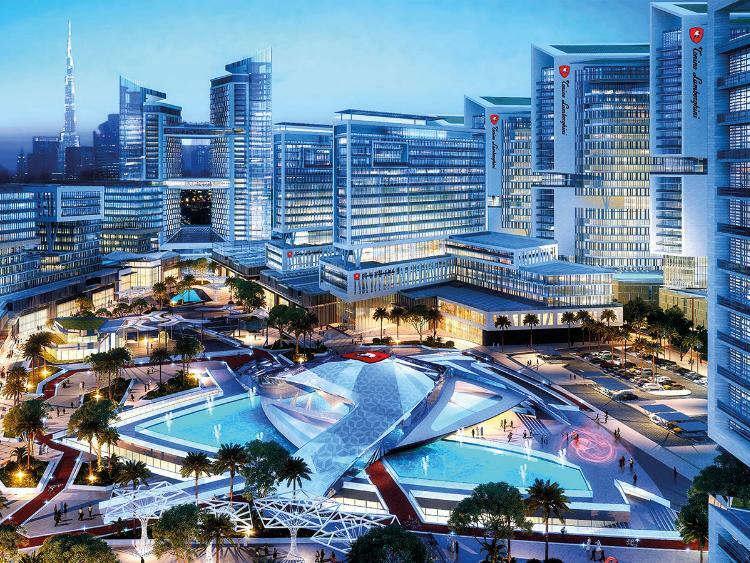 The development will add nearly 8,000 premium freehold apartments in Meydan district when completed in 2024. As a city, Dubai has the highest concentration of branded residences in the world, according to Knight Frank’s Branded Residences Report 2019. The distinction is giving the emirate a strategic advantage, not just within the niche market, but across different segments. “A well-distinguished brand, which is highly regarded internationally, results in much bigger exposure to local and international markets. Especially for new investors, they feel safer to invest into a brand that they can easily relate to and its standards,” said Firas Al Msaddi, CEO of Dubai-based real estate brokerage fam Properties. According to Niall McLoughlin, senior vice-president of corporate communications and marketing at Damac Properties, branded homes deliver both commercial and personal value, attracting high-net-worth individuals (HNWI) and global investors who are attuned to a luxurious lifestyle and have an affinity for luxury brands. The confidence associated with branded properties also attracts those who are looking at expanding their investment portfolios by buying overseas properties. Since the opening of Armani Residences in 2010 by Giorgio Armani and Emaar, other UAE developers have also partnered with fashion houses. Enshaa launched the Palazzo Versace, Meraas launched Bulgari Residences and Damac brought a range of luxury brands into Dubai’s real estate landscape, including Bugatti, Cavalli, Fendi and Versace. Hotel and resort operators such as Kerzner International, The Address, The W, Jumeirah and Bvlgari have also entered the branded residence marketplace in Dubai. “Luxury brands such as Bvlgari, Marriott and Four Seasons will always have the edge of international exposure to their own loyal guests, who are often part of their loyalty programme. Bvlgari did extremely well,” Al Msaddi told Property Weekly. Branded properties typically offer exceptional finishing, lavish amenities and magnificent views. Palazzo Versace boasts hand-laid Italian marble and mosaic flooring, whereas the Armani Residences feature materials and finishes made with stone, zebrawood and leather wall coverings. Similarly, the glamorous Just Cavalli villas in Damac’s Akoya Oxygen in Dubailand embody the Italian brand’s daring approach to design. “Our luxury branded offerings have witnessed great demand; some of them have sold out within days of their launch,” said McLoughlin. By combining prestige, cachet and convenience, branded residences offer a sense of exclusivity to buyers. But there’s more to these properties than exclusivity. “By associating with some of the most well-known and trusted brands in the world, these developments present a secure choice of investment, especially for international buyers,” said McLoughlin. Luxury branded residences demand a premium of an average of 31 per cent over non-branded equivalent offerings, according to the Knight Frank report. However, while a brand association may result in a premium, the additional value varies substantially from one place to another. 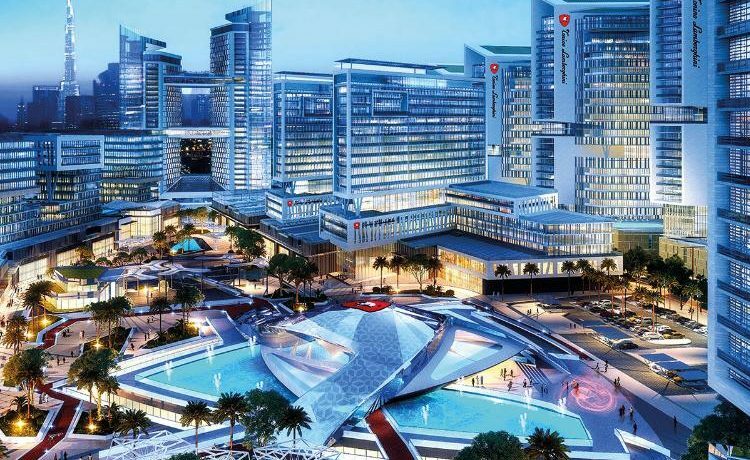 Maria Morris, partner and head of Mena Residential at Knight Frank, said the “global citizen” is looking for a more sophisticated offering in Dubai. The branded residence offering in Dubai has raised the bar even further, she noted.